Telemar provides L-Band antenna allowing reliable high-speed IP communications via the latest generation of Inmarsat and Iridium satellites. 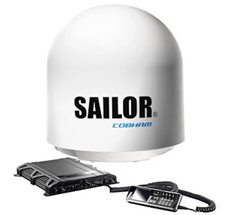 L-Band equipment provide dependable communications and internet access anywhere under the most demanding conditions. MSS L-band equipment can be used as stand-alone solution or as Vsat back-up terminals. 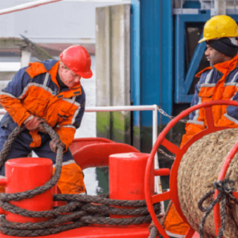 FleetBroadband delivers seamless voice and broadband data up to 432 Kbps across the world, with a range of capabilities and antenna sizes to suit customer’s budget and vessel needs. FleetBroadband uses compact below-deck terminals and stabilized, directional antennas ranging in diameter from 27 cm to 68 cm. Telemar provide antenna for the Inmarsat Fleetbroadband solution from the leading manufacturers in the market. There are three types of FleetBroadband systems and terminals FB150, FB250 and FB500. They diverge in terms of available services, performance and antenna size. through Inmarsat-4 satellite constellation with compact and cost affordable terminals. 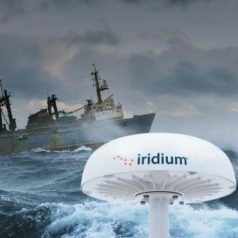 Iridium Pilot offers global voice and IP connectivity at speeds up to 128 Kbps anywhere at sea through an optimised and durable antenna. It allows high-speed service enables efficient business operations with speeds starting from 352 Kbps to 704 Kbps. Terminals for the new Iridium Certus service, developed by Telemar manufacturing partners are available from July 2018. 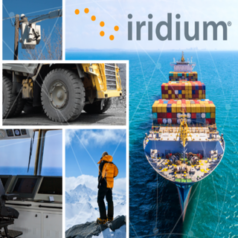 Iridium services are offered by Telemar as a standalone connectivity solution or as back- up connectivity for our Sealink VSAT services.